Thyroid hormone is a metabolic hormone secreted by the thyroid gland that regulates temperature, metabolism and cerebral function. It contributes to energy levels and temperature regulation and body warmth. It increases fat breakdown, resulting in weight loss as well as lower cholesterol. It protects against cardiovascular disease and improves cerebral metabolism. It helps to prevent cognitive and memory impairment. Thyroid hormone is probably the safest and most beneficial cholesterol- lowering agent, yet it is infrequently used for this! 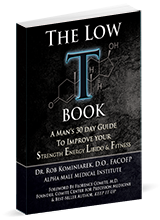 More than any other hormone, the thyroid hormone is most responsible for improvement in energy and reducing fatigue. We often get calls from patients whose primary care physicians have told them their thyroid is too low or too high. Because this is confusing, let us try to give you a better understanding. 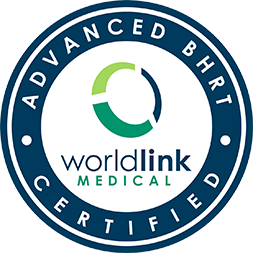 A second point of confusion, not well understood by your physicians: If your thyroid gland is producing T4 or you are taking thyroid in the form of T4 (most commonly Synthroid® or levothyroxine), the TSH will respond to the presence of T4 and most probably be low or at a number with which your physician is comfortable. However, if the T4 is not converting into T3, the TSH will not reflect this. And if the T4 is not converting into T3, you might have all the symptoms of not having an adequate amount of thyroid since it is the T3 that is the gas in the tank. The only way to assess the Free T3 is to measure it. Most physicians do not measure Free T3, but only measure TSH. However, as seen above, it is not a full picture of your thyroid function. Most physicians are taught to treat this TSH number and not necessarily listen to how the patient feels (most patients feel better when Free T3 is optimal). When you supplement with Armour Thyroid or compounded desiccated thyroid, it contains both T4 and T3 in a bio identical form. The T3 gives you the energy early in the cycle while the T4 is converting into T3 for energy mid and late cycle (the cycle is typically about 7-8 hours). If we measure your Free T3 around 4-5 hours after you take your thyroid, we see how well your body is converting the T4 into T3. It is this measurement of Free T3 that is the most reflective of your thyroid levels. Typically, when your Free T3 is optimal – close to the high end of a normal range – we will see that the TSH will be very low. This is what concerns your physicians. However, if your Free T3 is good and you feel well, without symptoms of too much thyroid (ie: heart palpitations, nervousness), your dose is usually fine, or as we prefer to say, optimal. However, because this difference of opinion seems to anger some primary care physicians, when your doctors test your TSH and advise you that your thyroid dose needs lowering, and we are advised of this, we will be lowering your thyroid dose to please your physicians. Appeasing them will spare you any confusion, but might result in a return of low thyroid symptoms. “Fibromyalgia is frequently seen in hypothyroidism. There is now evidence to support that fibromyalgia may be due to thyroid hormone resistance (cellular hypo-function).” Medical Hypotheses 2003 Aug; 21(2): 182-89. 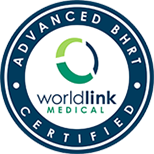 “Combined T4 and T3 therapy resulted in improved symptoms, well-being and weight loss in comparison with straight T4 therapy. A decrease in weight resulted from using higher T3 levels.” J Clin Endocrinol Metab. 2005 May; 90(5):2666-74. “Even exceptionally high doses of thyroid do not cause osteoporosis or fractures.” Normal Metabolic. Research 1995 Nov; 27(11): 503-7. “Even though the TSH is in the normal range, patients continue to have persistent symptoms despite adequate replacement doses. These patients are still symptomatic due to low T3 levels.” BMJ Feb. 2003; Vol. 326:295-296. “Patients that took a combination of T4 and T3 experienced better mood, energy, concentration and memory and improved well-being. Patients on just T4 experienced no change.” New England Journal of Medicine Feb. 1999; 340:424-9. “Women with low normal thyroid levels had a 4-fold increase risk of heart disease. This increased risk was equal to the risk of smoking and high cholesterol. Low normal thyroid levels are a strong predictor for heart attacks.” Annals of Internal Medicine, 2000; 132: 270-278. “Long term thyroid replacement with high doses has no significant effect in bone density or fractures.” Lancet 1992 Jul 4; 340(8810): 9-13. 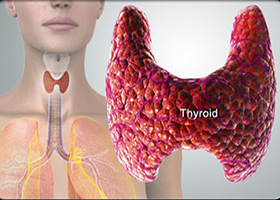 “Thyroid levels should be raised to the upper normal range for a young person. This results in optimal cognition, memory, cerebral function.” Journal of Gerontology; 1999 Vol. 54:109-115. “Over 40 studies prove that thyroid replacement does not lower bone density or cause increase risk of fracture.” Cortland Forum; 2001 July: 85-89.